DentuSil™ is a chairside soft silicone relining material which combines the ease of cartridge dispensing with the flexibility and resilience of a silicone soft reline material to provide denture patients with a comfortable, reliable reline in just one office visit. 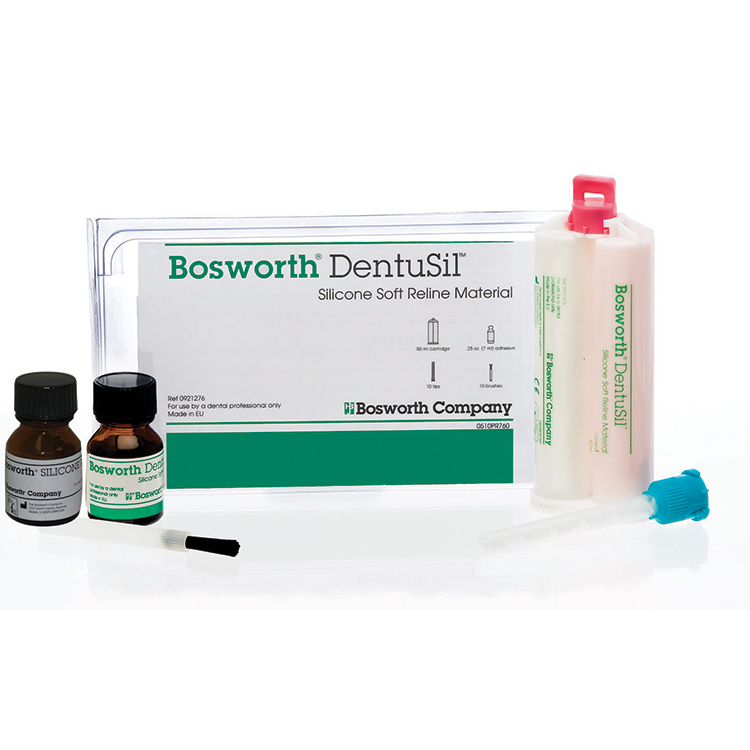 DentuSil™’s silicone base absorbs less water, making the reline more resistant to stains and odors. Its translucent pink color provides a natural, healthy appearance. Adhesive is specially formulated to hold material in place, providing a secure reline in just minutes. Contains 10 applications. DentuSil lasts in the mouth for approximately one year and has a shelf life of two years. Easily cleaned with a soft brush.